We take the crazy out of localization. Does the thought of localizing your iPhone app make you crazy? Find out why users love El Loco. Let’s face it, mobile app localization is about as much fun as doing your taxes. El Loco pulls together everything you need to make localization a breeze. With just a few clicks and zero headaches, you’ll be attracting users from all over the world. The El Loco platform saved us at least a week of work per app, and took care of all of the onerous prep-work involved in getting our apps ready for localization. Being able to see the translated versions in a visual web rendering of our UI before actually committing changes was super impressive. Great experience; great results. I had already gone through the tedious and time-consuming process of localizing my app into a couple of languages before I used the El Loco Platform. I wish I could have used El Loco from the beginning... it would have saved me so much time and hassle... and [it] actually made the process fun! I've been teaching software localization since 2010 and have used most of the popular localization tools. There is nothing on the market like the El Loco Platform. 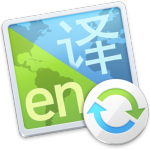 It's the first system I've seen that makes localization easy for both the developer and the translator. The best thing about the platform is its true Visual Context—not screen shots—but an actual editable rendering of the app's UI in a web browser! How cool is that?